This is the plan I intend to use this year, but I do have a disclaimer. As most teachers know a behavior management plan is always changing and always on going. I don't mean changing dramatically, but as you get to know your students, and the year progresses, you may need to tweak and adjust accordingly. My plan has multiple parts to it because I include positive reinforcement in with my plan. If you start the year off with a strong plan and stick with it, it should work. Don't make exceptions and be tough! Otherwise they will walk all over you! So let's start with the behavior/work folder. In my classroom I have two file folder pocket chart holders. I have them hanging side by side. Above one of them I have cut out letters, Complete. Above the second: Not Complete. (Sorry no picture, but will put some up when I am back in my classroom). Each student has their own folder. These folders are used for work and behavior (I will post about how I collect work later, right now just focusing on behavior). Here is how I "decorate/label" the outside of them. On the tab I usually print the student's name and number, but this year I may use labels so that it stands out more. Inside the folder I have a behavior chart, this chart is used by my entire grade level. It is something that we decided on as a group. When a student does not follow one of the conduct or work habit behaviors listed in the chart they receive a check in their folder for that week. ﻿Some teachers have their students pull their folder when a check is needed. I however, of course, need a visual. So I also have a behavior chart next to the work/behavior folders. I use the following pocket chart. Mine is very similar, and I think it has more pockets. But their names are on the left and it's blank on the right. I have different colored cards that represent different behaviors (cut from laminated construction paper), and I don't have a card for every behavior listed on the chart, some fall under the same type card. Example: Red=talking, Green=Responsibility, Orange=No Homework. If a child exhibits one of the "bad" behaviors, they pull that color card, and place it next to their name. ﻿At the end of the day if a student has to pull a card I write in their agenda why they had to pull a card. At the end of the week I use the behavior chart to put the checks in their work/behavior folder. On Fridays my team has Fun Friday (we each host a different activity, one of which is an IN room for behavior or work completion). If a student does not pull a card all week and has completed their work they can sign up for Fun Friday. In my room if a student pull two cards they must go to the IN room for 15min for behavior, if a student pulls more than two cards they are in the IN room for the entire time. If you notice pull cards and eventually checks in their folders cause their work habits and conduct grades to go down. This is something that can keep the student off such things as Honor Roll. Now what I found last year is that like most teachers I would give warning after warning. I was really wanting to find something that I could do that would allow me to stop warning so much, and yet not interrupt my class so often. Last year I had the privilege of working with our county's Behavior Specialist (due to having and EBD student in my room). She gave me some great advice that not only worked with that particular student, but with my other students as well. "Be NON-VERBAL!" A lot of behavior students tend to thrive off of the verbal "banter" and want that negative attention. The system I used for my EBD student was very involved, however I came up with a simpler version for my other students. At the end of last year I had each student place a red/yellow counter on the corner of desk. Every student would start every segment/class period on yellow. If they break any classroom rule (mostly talking), I simply walk over and flip the counter to red, that is their warning. If they break any other rule during that segment/class period, they lose their counter and after that segment will pull a card, resulting in a check in their folder. Now, after that class segment all students will put their counters back on yellow. Are you following this so far? Basically every student gets a "clean slate" at the beginning of each segment. For younger students, or students that have a harder time behaving you may not want your segment to be the entire length of a class period, you may need to build stamina. So, set a timer for 15 min. or so, however your goal should be to build that good behavior stamina, eventually you should increase the time of the segments. Now for the positive reinforcement. First individual incentives: each of my students has a good behavior punch card. These are the ones I use. If a student goes ALL day without ever flipping their counter to red, they earn a punch on their punch card. I also give punches on their punch cards for great hallway behavior, being one of the few students following directions, sitting very quietly as we come back from a break or transition. I would just tell them to place their punch card on my desk. Now if they get five stars (say on the left) punched, they get a small piece of candy, usually a dum dum. If they get the next five stars (on the right) punched, they get a larger piece of candy or two small pieces, if they prefer. I cut those stars off when they receive their candy. Finally if they get all the star punched across the bottom, they get a pass of their choice (No Homework, No Shoes, Invite a Friend to Lunch, Stuffed Animal, Oops! Pass). 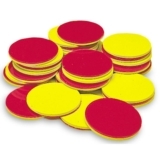 Now for a whole class incentive: if ALL students go an entire segment without flipping their counters to red, then they earn one extra minute "free time" (this could be recess time, choose your own center, puzzles, etc). By the end of the day my class would usually earn 5min of something. Most of them realized this wasn't a huge amount of time, so they began asking if they could "bank" their minutes. Pretty smart! So I had a picture of a little pig on the board, that if they chose, they could bank their minutes, but come Friday they had to use them. They loved it! They would then have to vote on how to use their minutes. We also had a to have a discussion that if one or two people flipped their counter they were not to yell at them, point fingers, and so on. That one day it could be them. Instead they were to help their fellow students, by reminding them to stop talking, or be on task, etc. After a good talk this seemed to work. The counters were great last year, because I already had them and they were two sided. However, my problem was they kept falling off the desks. So I have been really trying to thing of an inexpensive way to do this, and possibly use Velcro on their desks. I did think of Popsicle sticks with a small square of Velcro on it, one side painted yellow or even green, and the other red. Then putting a small square of Velcro on their desk. I don't want to hang anything in the front of the room or on the board, I don't want to draw that much attention to each individual. If you have any suggestions please let me know. Also if you have any questions feel free to comment. I do think I included everything, but again this is a multi-part plan. Again if you have it in place before school, communicate with your parents and the students, it usually runs smoothly. Once back in my classroom I will take pictures of my different boards and such to help with the visualization of this plan. Also, I do have these files as Adobe files, but I'm not sure how to link them or place them into my blog, so if anyone had suggestions please feel free to share. Nice idea! I never thought of doing something like that, seems like less work than coloring Popsicle sticks, using Velcro and so on! Love your blog thus far! I teach 3rd grade in NC and am always looking for great behavior management techniques - I'm curious what your student population is like, how many students you have, if you have a teacher assistant/parapro, and the ability range of learners you have...I find all those help me determine a good approach and if yours are similar to mine, then this may be a good technique to try! Thanks for all that you share! I don't know how you do it all! Anonymous: I teach third grade, and currently have 23 students. I do not have any assistants/parapros. I have used this management plan with a variety of students and at two different schools know. I came up with the idea of the counters when I had an EBD student in my class last year, that student was on a behavior management plan from the county and I had a behavior specialist in my room observing...a lot. After talking with her throughout the year and getting some great input, I implemented my "version" of the plan into my room. I have used this plan with ESOL, EBD, EIP, and this I even have three Focus students. The majority of my classes have been on to below grade level. I guess you could say I have had a huge variety. I hope this helps some. Thanks for reading! I love this idea and have been thinking about how to make the counters thing work in my classroom. I am going to buy the little envelopes used for library books and tape them to the students' desks. Inside the pockets will be a card that is green on one side and red on the other. This way the cards won't fall off the desks and they will still be able to see what color they are on. Thanks for the great idea! Can you tell me more about your complete and incomplete folders? What goes in incomplete? What goes in complete? I am intrigued. Oh, and your classroom is beautiful! This post was exactly what I needed! I was so inspired by it that I wrote one of my own (giving you credit, of course)! I am curious, do the students leave the colored cards in the behavior chart all week or do they start fresh each day? If a child interrupts on Monday and pulls a red card and then interrupts again, would there be 2 red cards? 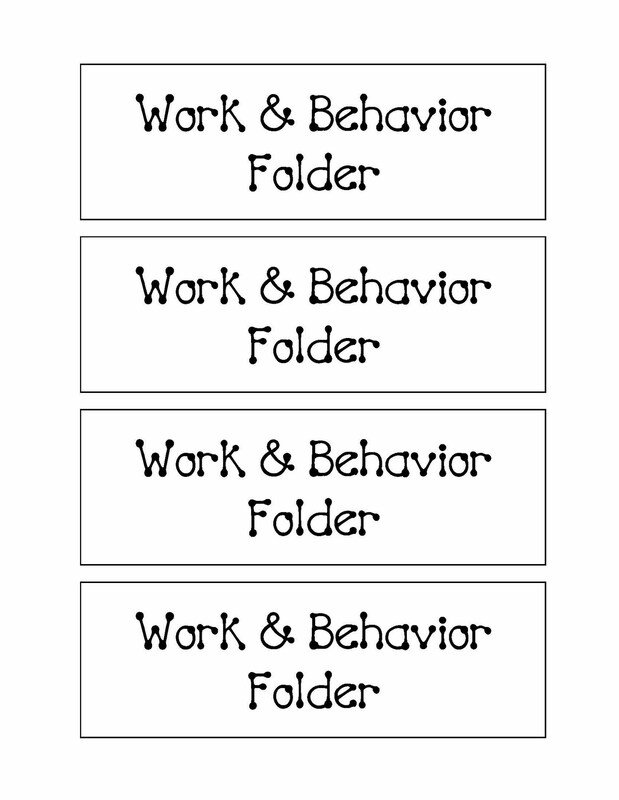 How many cards to equal a check in the behavior folder? I like the system, and think it may work for my class. We also have fun Friday. Why do you have such a public display of "bad" behaviors? Don't you worry this will cause defeatism and more "bad" behaviors? Do you know that positive reinforcement is most effective? I just wanted to say THANK YOU for this post! I used my own version of the counters (painted craft sticks) with my class this summer and it has been working like a charm! It's so great for them to have the non-verbal visual of the warning before I have to say something to them about their behavior. Love your thoughts here! I am planning on adapting and using parts of your plan. Thank you for sharing. Did you ever upload your documents? Simple answer to the chips falling off the desks.. use blue tack! It can be found at Walmart, Michael's, Staples, and other stores. It's like putty and will stick almost anything to any surface but comes of easily and is reusable. Do you have anymore information that you can share about the folders? I am very intrigued and would like to try to incorporate this into my 5th grade classroom. I also LOVE your classroom! Great ideas! I was wondering if I could get a copy of your behavior management chart (Weekly report)? I am actually a HS special education teacher and I think something like this would really help me keep better track of my students and their IEP goals. I love your behavior management ideas! I plan to use some of your ideas in my special education classroom. I will paint lids from baby food jars and use blue tack or some other kind of putty to hold them on the desks. I love your weekly behavior report! Thank you for sharing this! I'm currently going through my student teaching this year. And I too find myself warning too much. This is a great non-verbal way to warn students. I love it! Thank you again! Hi, I'm a first year Special Education Teacher and this form would be extremely helpful for one of my students who has been diagnosed as being Emotionally Disturbed. How can I obtain this form? It is really great and would be such a useful tool. Thanks in advance. In my classroom we used green, yellow, blue, and red little tile pieces. I velcroed 4 tiles to each students desk. If a student is disrrupting class we simply walk by the desk and remove a tile. The students know, and a list is posted, of the consequences of each tile being removed. At the end of the day a note is written in students planner for parents to see why child lost a tile. I was wondering if you could send me a copy of your weekly report. My email is bsbillingslea@atlanta.k12.ga.us Thank you in advance!!! What suggestions do you have for students that become distracted by chips or other items on their desks? I have a tier 3 behavior student that I fear would destroy, throw away, etc. any little things that I put on his desk. Thanks!! Love the ideas! I may borrow some :). Ashlee, I have seen teachers that put the velcroed items on the front of students' desks (where they can't directly see them) instead of on top to prevent them from playing with them. I don't know if that would work for your kiddo, but just thought i would put it out there! I love your behavior record sheet you send home. I have used something similar, but yours is very detailed which I like. Would you be able to send me a copy? My email is akulik1024@gmail.com. Thanks!! Hi! I love your behavior management chart, would you send me a copy to yrivera7806@hotmail.com? Also, I would also like to know if a student keeps talking do they just pull multiple red cards over and over? And if so, what are your disciplines? Thank you! Love your idea- it will be a top management technique I will be trying this year. Would you send me your weekly report. Thanks in advance, lindsay.cravatt@bryanisd.org. Hello! I would really like to use your behavior chart for an individual child in my room. Do you mind emailing it to me at pillow@wcschools.com ? Thank you so very much! If you have magnetic desks try magnets. I works great on the desks and you don't have to worry about them falling off. The only problem is when you have kids in the middle of say a group of 6, then it is hard to find a place for them. I was wondering if you could send me a copy of the weekly behavior report! I have something similar but I like yours better! So excited to find you. Love your ideas and am very inspired. I just got moved to third grade and need a behavior plan that better fits this age group. 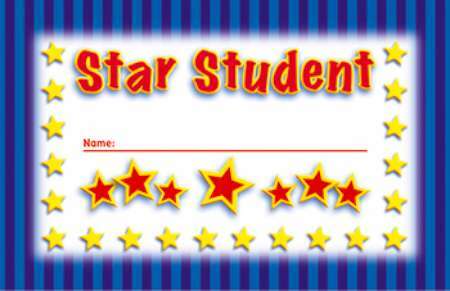 I would love a copy of your behavior sheet and star student card if you still have it available? Thank you for sharing your ideas. Thank you for sharing your creative ideas. I have been looking for a fresh updated version of a behavior plan for my fourth grade class and this plan looks like it will be very effective. Along with others, would you please send me a copy of your behavior sheet and star student card if it is still available. Would love to have your behavior sheet. I also find your creativity awesome and I will be trying out your behavior and work charts this year. I would really appreciate it if you could send me the behavior sheet at christine_montanez@yahoo.com. Thank you for sharing your innovativeness. Love all your ideas. I would also love a copy of your behavior management plan/chart. Could you please email me at cinnamon32@yahoo.com. Thanks so much! Thanks you so much! Brilliant!! Hi! I love the behavior chart to send to parents. Would you mind sending me a copy? thanks so much! May I please have the behavior chart and star student card sent to me as well? Thanks for sharing! I would love a copy of your behavior management plan/chart. This something I really need to implement. Could you please email me at eholsman@hotmail.com. Thanks so much! I would love to have a copy of the files for your behavior management plan. Can you please email them to me at mkenaga@npusc.k12.in.us? Thanks for your suggestions! I would love the behavior chart and star chart! plowry@alpinedistrict.org Thanks! I have never done a blog or responded to one but I AM IN LOVE WITH YOUR IDEAS!!! I will be a first year teacher and I am soooo wanting my classroom to emulate yours. I am in love with the individual shelves. Please could i get a copy too! Thank you so much! I hope this works in my classroom. I plan to share it with my team and administrator hoping to use it possibly building wide. Could you please send me a copy of your behavior plan? I am in dire need of something like this. Love your ideas. Can you send me a copy of the conduct/work habits sheet? Was looking for a chart for one of my 4th graders and this is perfect! Would you be able to email it to me? I LOVE your behavior sheet! If you could send a copy, that would be awesome! I love your classroom!Thanks so much for sharing your student motivated systems. I would love to have a copy of the files for your behavior management plan. Can you please email them to me at schenowth@glasgow-ky.com? I love your ideas around classroom management (an area in which I struggle). Could you please share with me a copy of your behavior management sheet? 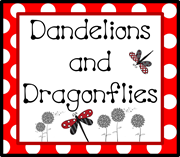 My email address is Adrienne.babb@douglas.k12.ga.us. Thank you! I love your behavior report! Could you please e-mail me a copy at rhonda.hall@knoxschools.org? Also, have you made changes since your original post, and if so what are they? Thanks! 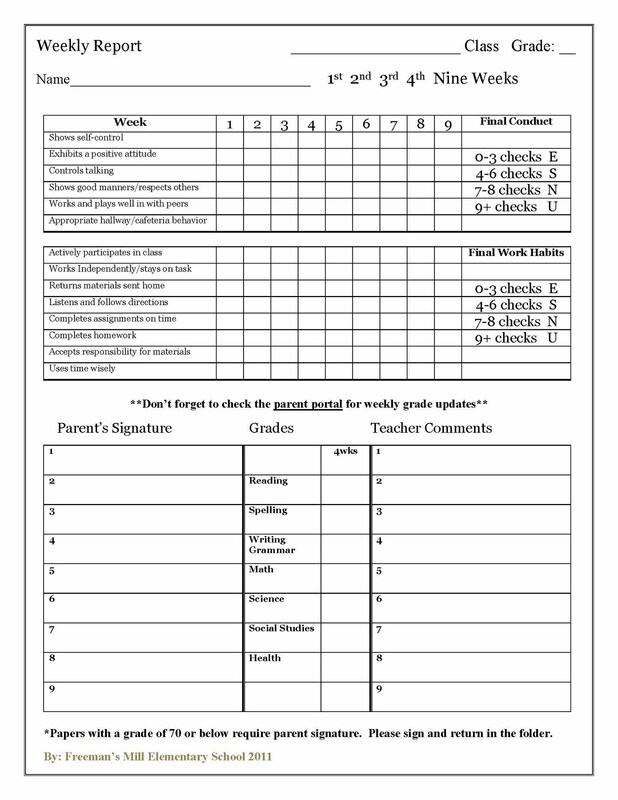 Love the weekly behavior chart and would like to have a copy... would you please email it to mrsstranz@cfl.rr.com. Thanks a bunch! Thank you...I appreciate your willingness to share your ideas!! I would really like to use the Behavior Management Chart in my classroom, sent an email a while back and haven't heard back so wanted to check if I could get that from you? Its fantastic! Thanks! Starting 2017 and revamping my behavior management. I love your behavior record sheet you send home. I have used something similar, but yours is very detailed which I love. Would you be able to send me a copy? My email is myraldapcantu@katyisd.org. Thanks! !